One of the broken windows at the CRD office on McPhillips Avenue in Ganges reported to police at 1:15 a.m. on Sept. 1. 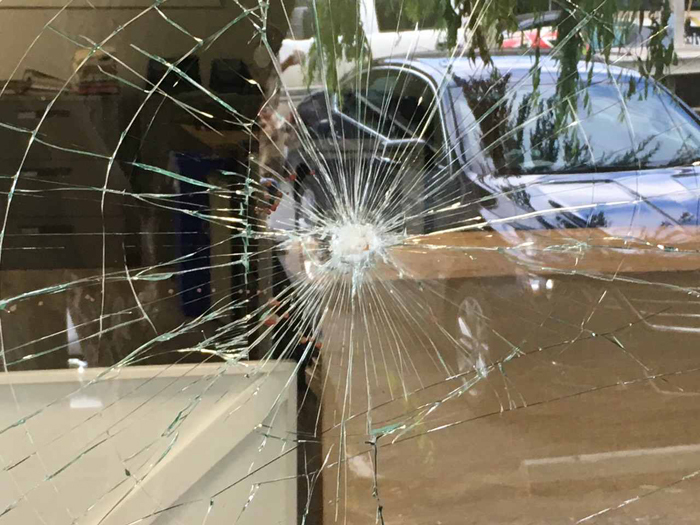 Street-front windows at the Capital Regional District office on McPhillips Avenue were smashed sometime before 1:15 a.m. on Sept.1. CRD Salt Spring parks and recreation manager Dan Ovington said local RCMP were notified about the broken windows at 1:15 a.m. Saturday. Anyone with information about the crime is urged to contact the Salt Spring RCMP at 250-537-5555, or anonymously through Crimestoppers at 1-800-222-8477.